Dr. Cheng Biao has vast expertise in minimally invasive surgeries, including arthroscopic meniscal repairs, arthroscopic repair of cruciate ligaments, and arthroscopic diagnosis and treatment of shoulder disease. He is also an expert in complex orthopedic surgeries, such as knee and hip replacements. Dr. Cheng has nearly 30 years of clinical experience in tertiary hospitals in Shanghai and has conducted over 5,000 arthroscopic surgeries. He is a Chief Physician, a Professor, and a Doctoral Tutor in Sports Medicine. 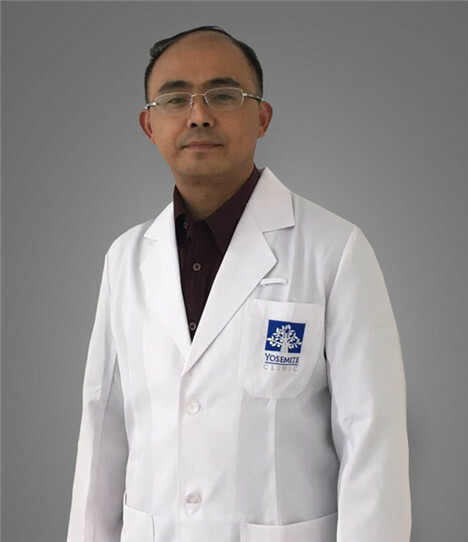 Dr. Cheng received his doctorate degree from Fudan University's Shanghai Medical College in 2001. He furthered his training through fellowships at both the University of Pennsylvania Medical Center and the Arthroscopic Center of Mount Sinai Hospital in 2002. He also received training in sports medicine at the Joint Disease Hospital affliated with New York University in 2005. In 2008, he completed wrist arthroscopic training in Prince of Wales Hospital which is affiliated to Chinese University of Hong Kong.